Best selling sophomore albums are one of the music industry's rarest gems. One example of such a gem is Jamiroquai's second album Return Of The Space Cowboy. Improving on their infectious blend of funky R&B and Acid Jazz, Jamiroquai delivered Return Of The Space Cowboy in 1994, hitting the charts with a vengeance and amassing global recognition as THE leading Pop Funk band. 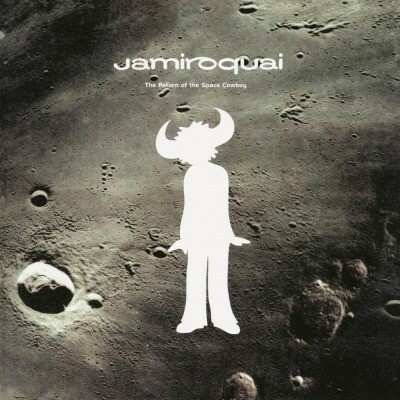 Incredibly groovy and tight, Jamiroquai expanded their compositions into the realms of Jazz and this was accompanied by a positive but critical message regarding human rights and environmental issues. The hits "Space Cowboy" and "Light Years" propelled Return Of The Space Cowboy into all-time favourite status among alternative Pop lovers all over the world. Now with enhanced, remastered audio. A 180g audiophile vinyl featuring an insert, printed inner sleeves, remastered audio and presented in a gatefold sleeve.